Cats are willful, stubborn animals who have a mind of their own. And when they set their sights on something they want, they won’t take no for an answer! That’s just happened with a cute black cat who fell in love with a solider. 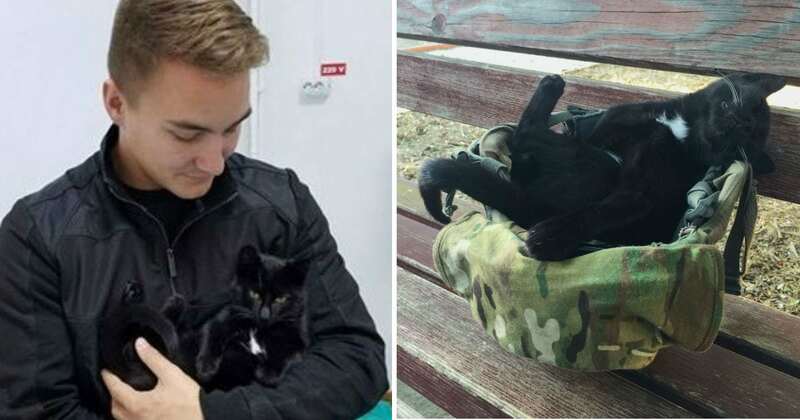 The cat decided the soldier was going to be his new dad, and luckily the soldier was happy to oblige! The soldier, Justin W., was stationed in Romania with the US Army. One day, he was walking through the park and came across a cute black cat. The kitty was playful and friendly, and he and Justin quickly bonded. They would hang out together on the park bench, and the cat would sometimes take naps in Justin’s helmet! Justin decided to name the cat Salem. 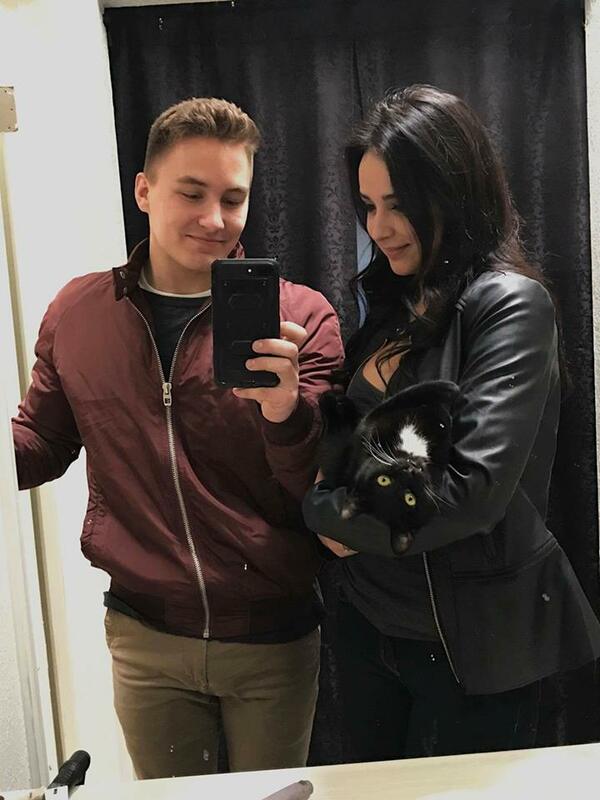 Salem and Justin had a connection from the first moment they met. And so, Salem decided to follow Justin back to the army barracks. 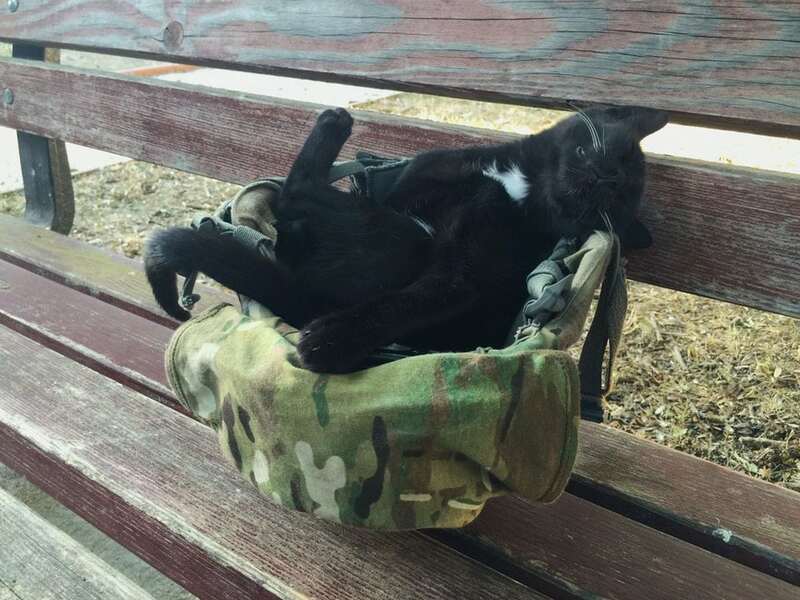 Salem quickly made himself at home with the soldiers. 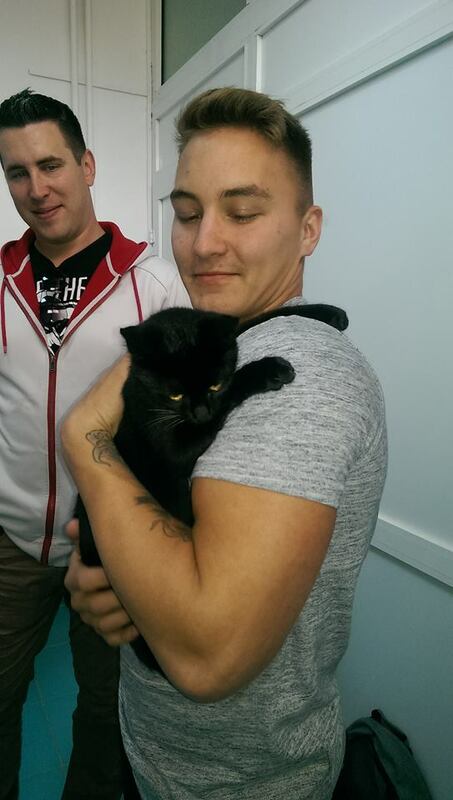 All of the soldiers in Justin’s unit loved hanging out with the playful cat! They also loved the cat’s hilarious facial expressions. As Justin’s time in Romania came to an end, he knew he couldn’t leave Salem behind. And so, he started a GoFundMe page to help raise the expenses to get Salem to America. A local cat rescue organization, Oana’s Homeless Street Paws, said they would help Justin with the move. The group’s founder, Oana Băltaru, took Salem in while Justin was working on getting the sweet kitty to America. “Justin contacted me, and we managed to meet after 2 weeks and finally I could see Salem, the cat who charmed so many people ..and they were right. Salem is a talkative, special boy, a beauty; he and Justin share a special bond, as you can see in the pictures,” Oana wrote on Facebook. Everyone was touched by Justin’s story, and he quickly raised the $4,000 necessary to transport Salem to America. Soon, Salem touched down in El Paso, Texas, where he reunited with Justin and his wife. Salem quickly settled into life in America. 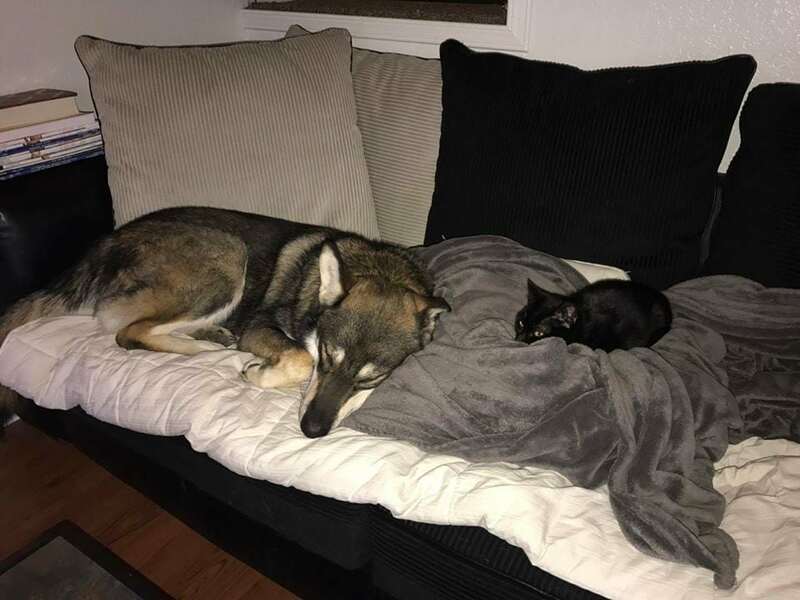 He loves relaxing in his new home, and he also enjoys hanging with two new furry siblings: one cat and one dog. 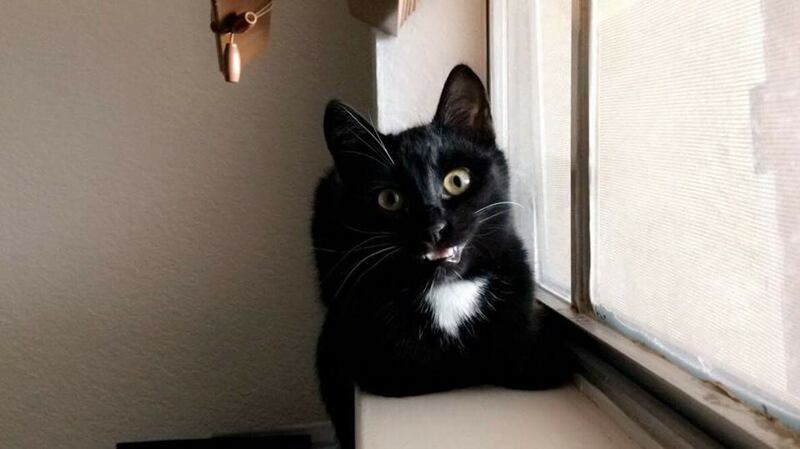 Salem also still makes goofy facial expressions when he’s happy, mad, or anything in between! This sweet cat has tons of personality. Justin and Salem shared a connection from the first moment they met. 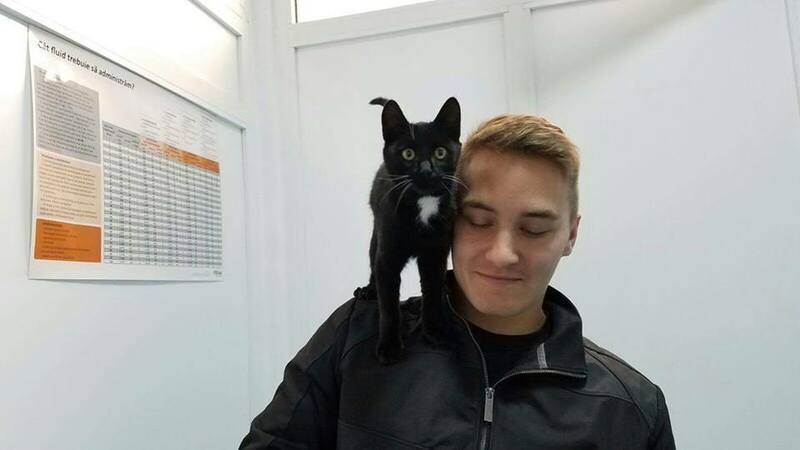 These two were clearly meant to be together, and we’re glad Salem found such a good home with Justin in Texas!